The Summer of ’04 will forever have a special place in my heart. It just started as idle conversations over lunch and before we knew it, we were actually already lining up for visas at the US embassy. We had the time of our lives bringing Sam to Disneyland, meeting old friends and kin and really bonding as a family. Although the trip was quite physically demanding, having covered five states in barely five weeks, Mariel was always there to keep things running hunky- dory. She arranged all our flight connections, ironing and packing while balancing a 20- kilogram bag on her arm. And she never once whined about being inconvenienced, that’s why she ‘s such an angel. Good night my beautiful princess, I promise we will have that nice holiday when we next meet. Yes, I must say that most of people who knew Mariel would typically start our conversations with that question. That’s because they knew how precious little “Sammy” was to her mom. For Mariel had always wanted only the best for her daughter even if it meant that her own career and personal convenience will often have to take a back seat. But she didn’t mind, for Samantha was her “magnum opus”, all the best things she ever hoped to be and much more. Now I can only tremble at the responsibility but still choose to carry on for Mariel. Because I love her and find this task as the best way to thank her for the life we shared and for her truly “giving” heart. 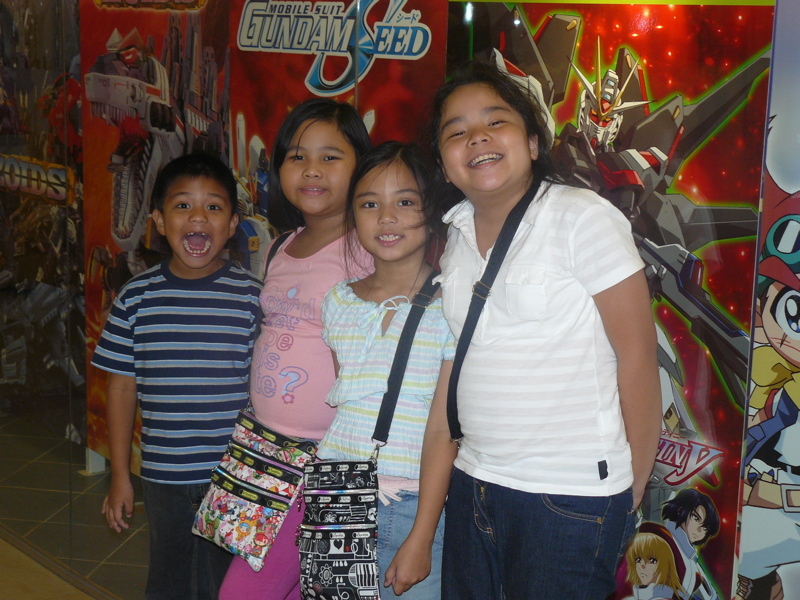 Today, April 27, I brought Sam to Virra Mall in Greenhills to have a “fun” afternoon with her cousins, Gabby, Trisha and Julia. They had the usual dash to check out the latest Nintendo DS games at the gadget store. This week’s favorite flavor is none other than Super Mario (He’s back folks and if you’d care to know Mariel too spent many hours on the game and excelled at it some “twentysomething” years ago.) Sam of course seems to be very “okay” when she is around her cousins and playmates as her mom’s absence is momentarily eased. I still however sense a deep sadness in her. But who would not be, after a gaping hole had been created by her mom’s loss. Again we only choose to carry on despite the great inertia to cave in and abandon the “fight”. Because Mariel had exemplified always doing the “right things” and we should not do anything less. Always. I woke up today feeling a bit light-headed from staying up too late last night. You know I could not sleep because I had to lie alone on an empty bed in an empty house and I still terribly, terribly miss you . 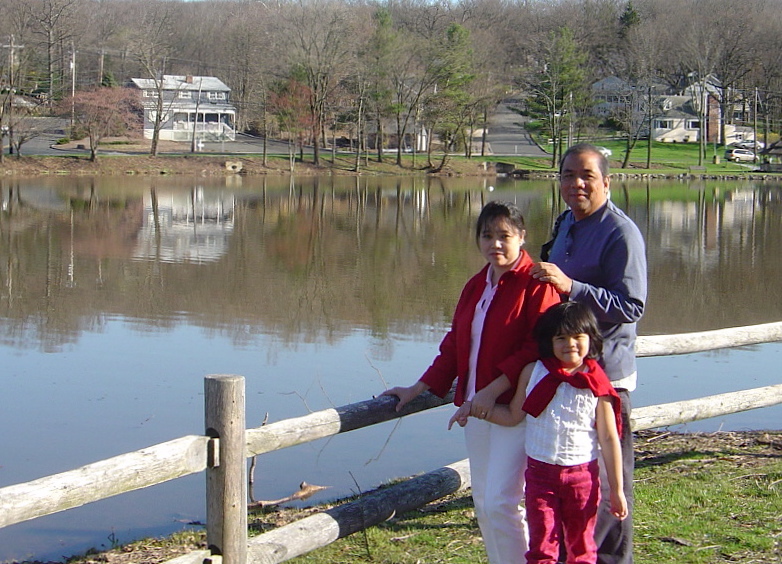 You know Sam is away on a weekend trip to Fontana Resort with Mama, Alma and her kids. I wanted to go with them but there are just too many things on my mind these days and I wont be a “nice” traveling companion so I decided to stay home instead. I did however manage to call “Sammy” before she went to bed last night and she seems to be having fun specially with the pool and the “giant slide”. I know that we would have both been there with her if things were different. That’s why I miss you even more. I also dread facing this day knowing its the 7th month “anniversary” since you know. And all I can do is to pound away on this computer while feeling lonely. Nothing much really has changed since you left. I have not been able to organize much my life just yet, preferring to coast along instead or keep busy with little side projects. It’s like being on auto-pilot I guess as I rely mostly on Mama, Alma and Baguie to tell me where I needed to be. And I have not had much luck either with Sam who seems to be in some kind of a “space bubble”. She still avoids talking about you or looking at your pictures. Which is exactly the opposite of what I’d like to do all the time. But don’t worry Mommy, we will be able to sort things out sooner than later. Again as they says “grief is the price of love” (right, Robert). I know still that you will be always with us even while we go through our darkest and most difficult journey. It’s a Sunday and I must be off now to Heritage Park to tend to your little memorial there. I think I will be bringing you more colorful ones this week. You may have been bored already with those white roses, white stargazers, white mums, white everything. I will do my best also to see “today” on a more positive light, as I know this would please you (I’m not making any longer term promises however because you know how it is). I will try today to remember only the good memories and all the good things you stood for, which are a lot. And to remember too the beautiful person whose beautiful face I loved to touch and kiss so much. And whose beautiful and loving embrace will remain with me till the day we meet again. I love you Mommy, now and forever. Just arrived last night again from Vietnam after a week-long trip to work on a launch project for an airline company there. This explains my apparent absence from the blog for sometime now. Life had simply caught up with me as I tried to keep busy on “making a living”. Yes it takes so much more effort to “make” it when the very person who inspired you and moved you to be the best you can be is no longer there. I have to remind myself often that I still have Sam to live for. But while I’d do anything for our daughter, there are just it seems some things that could never be the same. 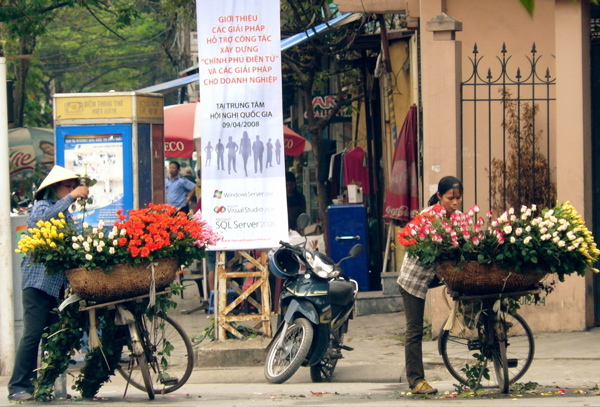 Like, enjoying watching flower vendors in Hanoi’s picturesque streets and alluring parks. I missed Mariel as I went through some small curio shops and art galleries in Pho Hang Trong street. 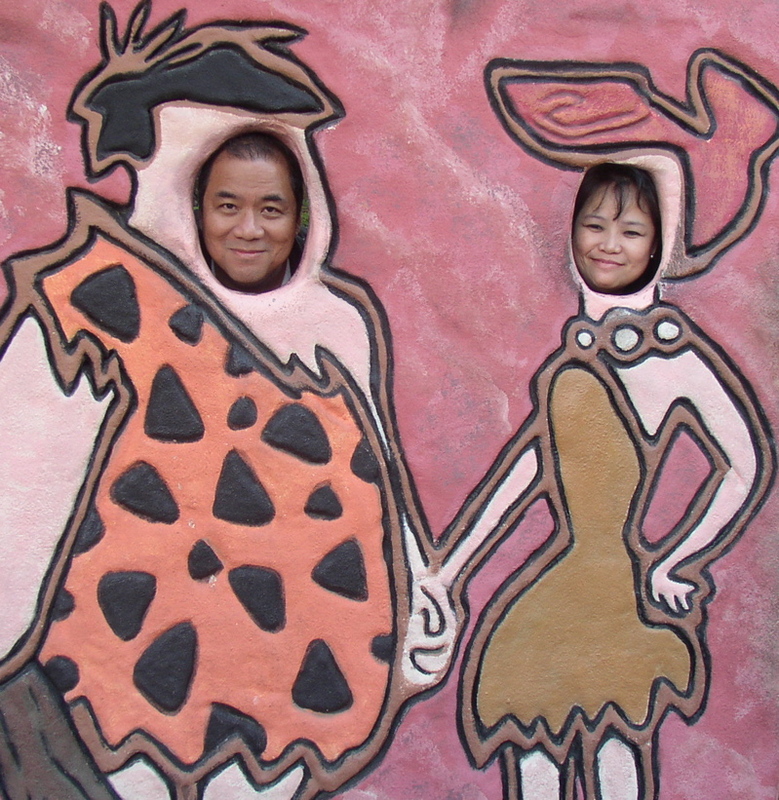 These were those little things we did together when we were out on trips of “exploration”. These are now the little things that I tried doing but find to be somewhat pointless and uninspiring. I made sure however I brought home her favorite “fridge magnets” to add to her collection on our trusty ref. If truth be told too, I had actually found them before to be quite unattractive. Of course today I can only look at them with fondness and longing. I may even have a clue to why Mariel had collected them. Maybe perhaps, so that someday I can look at them again and re-live our lovely memories. I now would like to use them to remind Sam what a truly wonderful person her mother was. And how I had counted myself to be so lucky to have at some time shared browsing through those little curio shops with the most BEAUTIFUL person in the world. Mariel, I love you. And I still miss you so very, very much.